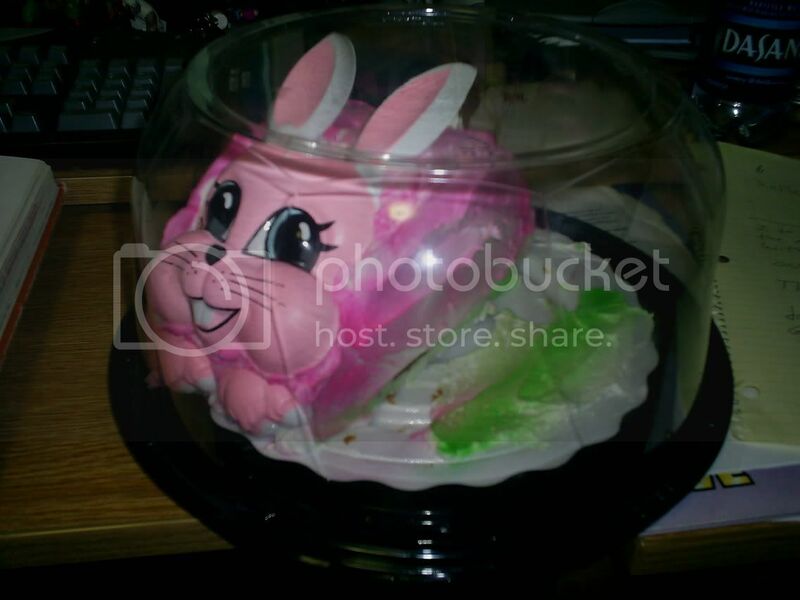 Got a bunny cake from my aunt for Easter. Look at it, so adorable in it's carrying case, ready to come to its new home. Out of the case and ready for adventure! Bunny cake had no idea what was in store for it. 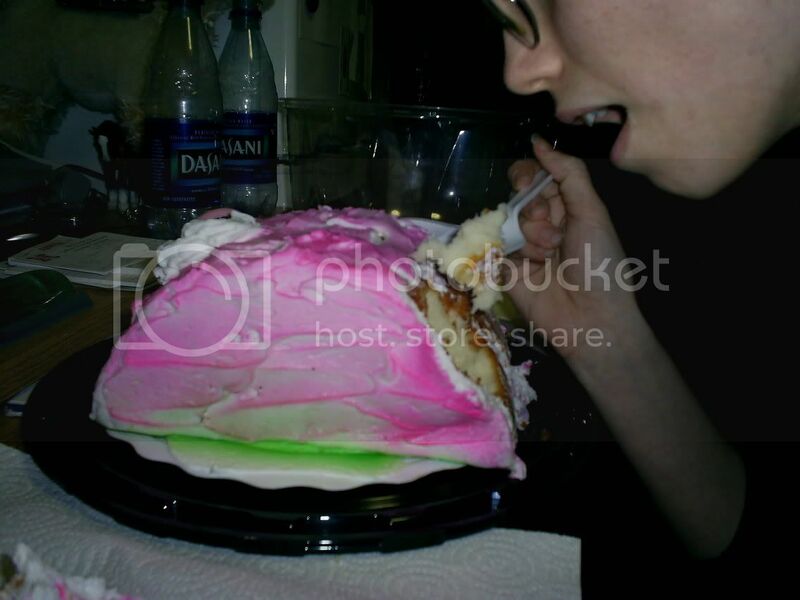 Bunny cake as I devour it. 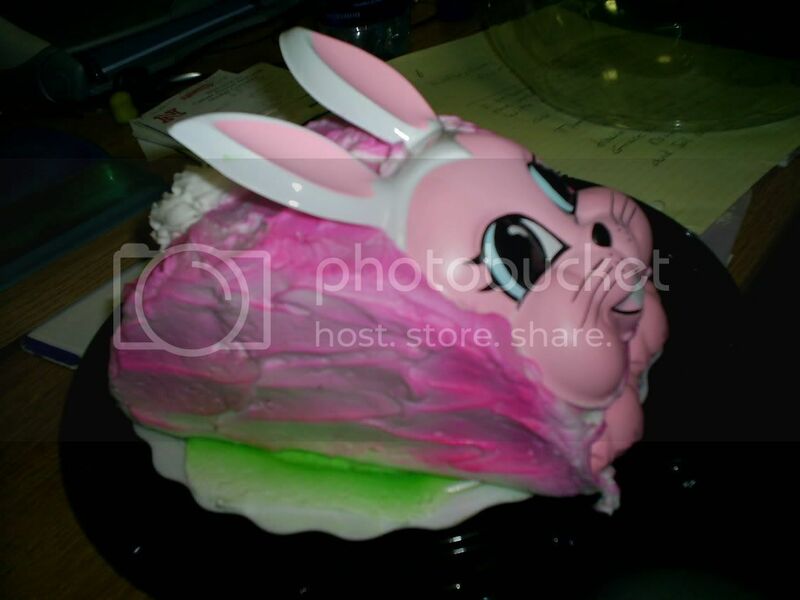 Rest well, valiant bunny cake. You were indeed delicious. I loves me some bunny cake. As an aside, it's hard to tell from the pictures, but there was like two inches of frosting on this sucker. 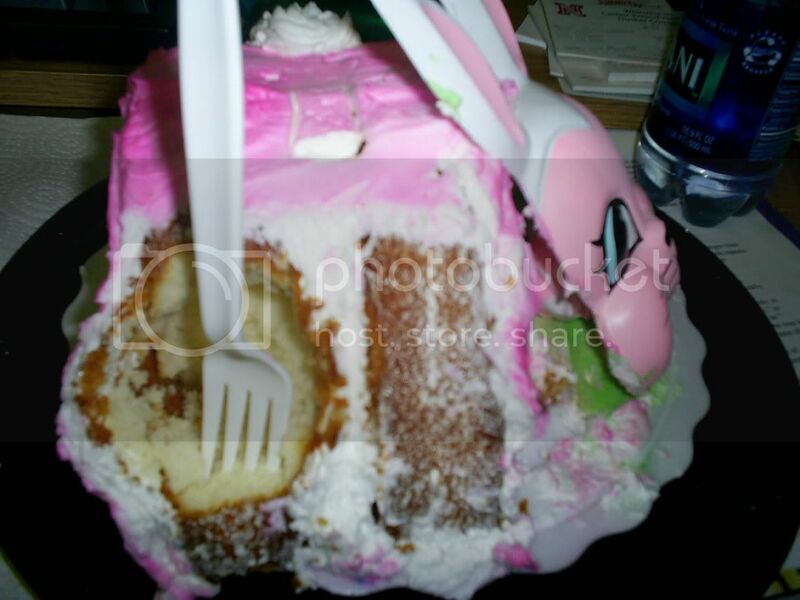 It was good cake, too, so it's not like they were trying to hide the flavor or something. Most of it ended up getting scraped off. adore the morbidity of the last one. And what's that icon from? I haven't seen it before. Icon is from Iroku Irukoi Romantan, a series by Yamane Ayano, who did that one shot, Lock Out, that I gave you.